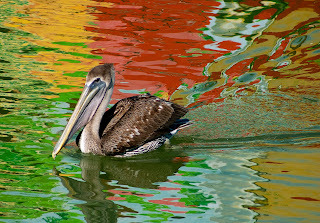 This pelican was floating in the midst of the reflections of a variety of boats and buildings in the Clearwater Beach Marina. Florida's tourism is generally defined by flashy colors and loud music. The less authentic and natural the worse it gets. One of the boats is the Screaming something or other that loads passengers into a large open boat and runs around the sound and the gulf at high speeds. Another is a large pirate ship and there are othes. 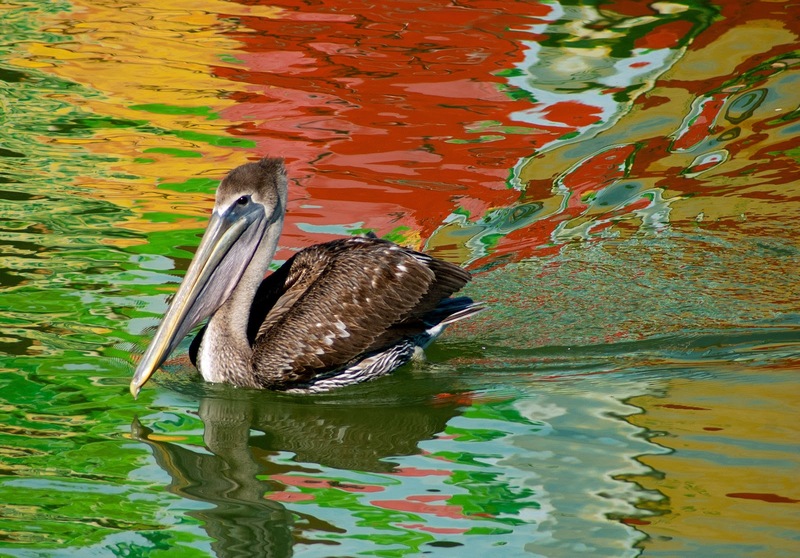 The pelicans are oblivious to it, they just know there are fish to be found.